Did you know that taking 10,000 steps each day for 100 days, that’s ONE MILLION steps or 500 miles? One Million Steps is the new national challenge that gets the nation moving whilst raising money for social good. By working small changes into your daily routine you can feel brilliant about yourself, not only by improving your fitness, but also by helping to bring about social good. There’s no need to sign up that marathon or ultimate endurance test; you can take the challenge right on your doorstep. Go it alone, compete with friends, or join work buddies and walk, jog, run or dance your way to One Million Steps! Track your progress with our bluetooth pedometer and app! Record steps, active minutes, active hours, distance and calories burnt. Challenge your friends, form a team, cheer each other on and shout about your success on social media! 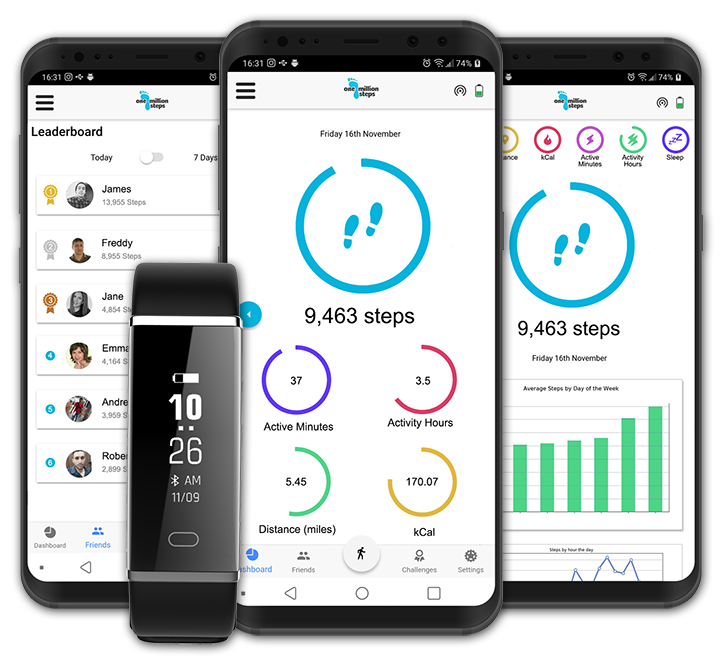 One Million Steps is a 100-day journey, with health tips and great content to help you on your way. Sign up today and start making your difference! Want to make a difference for your favaourite good cause? Need that extra little motivation? Our integrated fundraising does all of the hard work for you, just ask your friends and family to support your One Million Steps challenge and leave the rest to us! Feel good. Do good. Make YOUR difference! So where will your million steps take you?